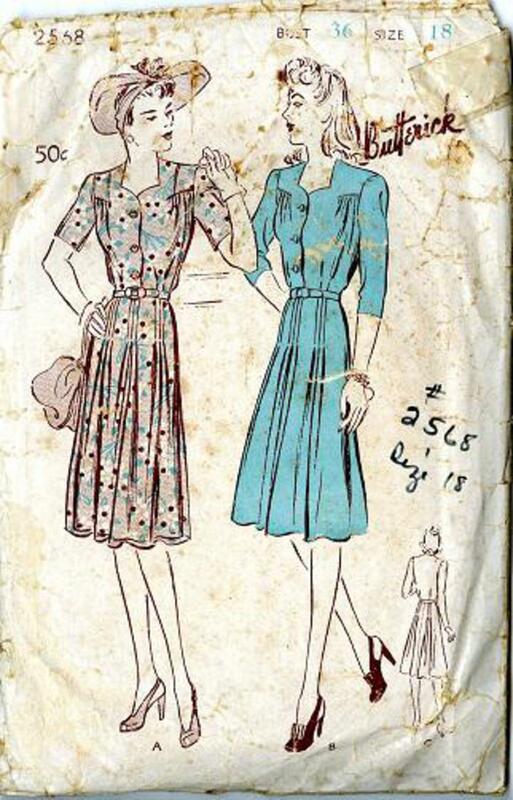 1943 Butterick #2568 vintage sewing pattern, women's afternoon frock/shirtwaist dress, plus size 18. 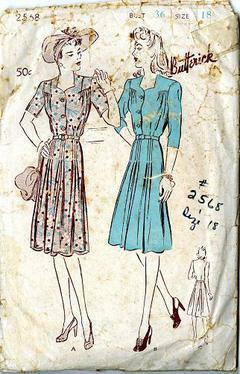 Planned for that pretty look, a frock that loses none of its practical appeal. Witness the sweetheart neckline and the slashed treatment. The skirt has clusters of tucks front and back, which give a smooth, smart look about the hipline. Envelope is in poor condition, unprinted tissue pattern is in good condition.